An Apple a day.. keeps the doctor way.. well maybe not literally but good health is packaged in this piece of fruit. Apples do not lose their nutrients in baking either except for Vitamin C. The fiber, flavonoids and potassium stay intact. So when eating raw or baked always consider keeping the skin on for extra nutrition. Not all apples are created equal. Some are better in baking like Rome, Macintosh, Jonagold and course Granny Smith while for eating, Pink Lady, Golden Delicious, Macoun and new apples like Opal and Envy rate high in the raw! 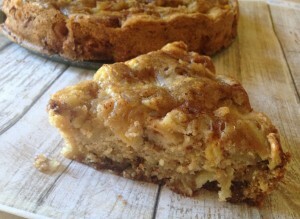 Here is a apple cake recipe I show every year ..dense blondie like and loaded with apples! Here is a start to desserts for the fall, quick, low carb and brimming with fruit.. the way I like it. In this case apples, but pears or plums (in summer) work well too! This was adapted from a NY Times apple cake recipe. Add vanilla and lemon zest, which are key flavor enhancers for all things apple. One slice is approximately 178 calories. 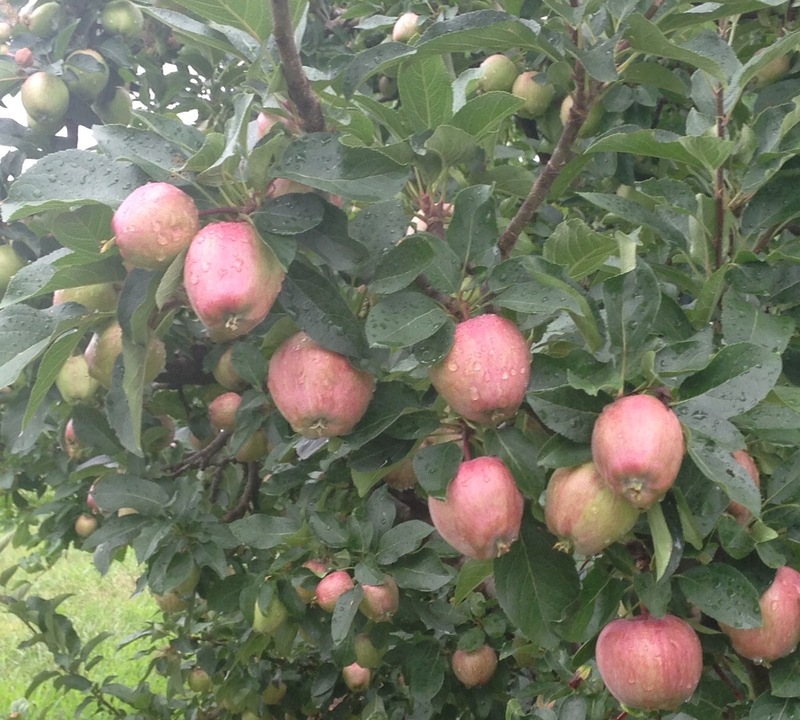 Look for more information on apples in the apple primer in my book A Connecticut Kitchen . Lightly butter a 9 inch cake pan. Preheat oven to 350 degrees. Sift flour, spices and baking soda together. Cream sugar and butter with an electric mixer. Add egg, lemon zest and vanilla extract and continue mixing on medium speed. Add flour, a few tablespoons at a time until incorporated and smooth . Mixture will be somewhat stiff and dry. Add apples and nuts and stir with a spoon until flour butter mixture coats all the apples. Place the batter in the buttered pan and bake for 45 minutes or until golden brown.